During the morning we'll run in sessions with a limit of 6 cars on the circuit. In the afternoon this will change to an open pit lane. This means you queue up to go out when ready and you are not restricted to your allocated session. 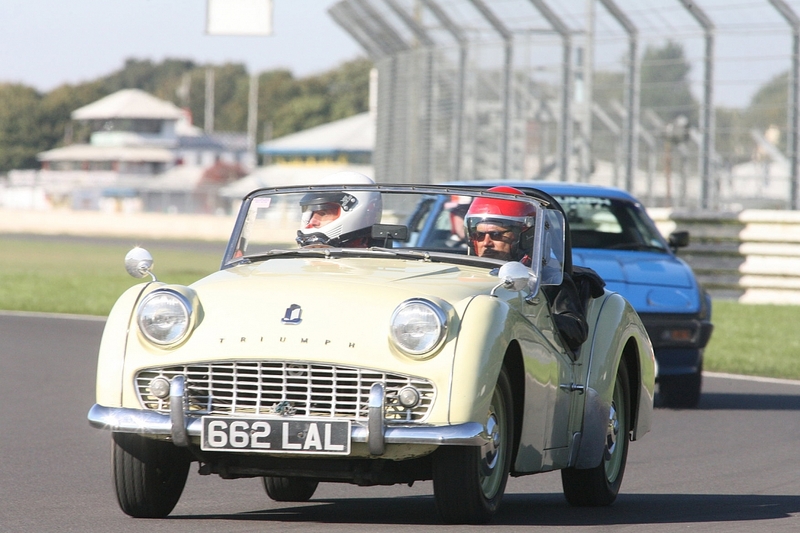 With two heavy braking areas, the brakes on bigger Triumphs and TR5s / TR6s can get very hot after just five fast laps.